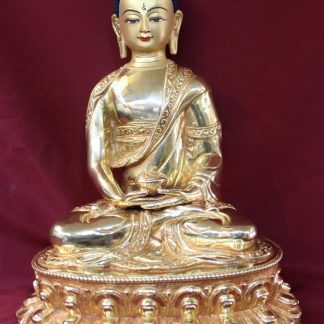 Size is 45 cm x 32 cm x 20 cm tall. 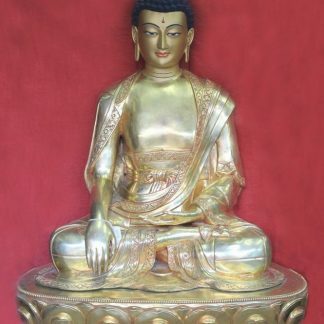 The body is placed on lotus base. 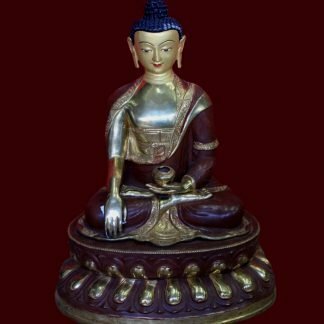 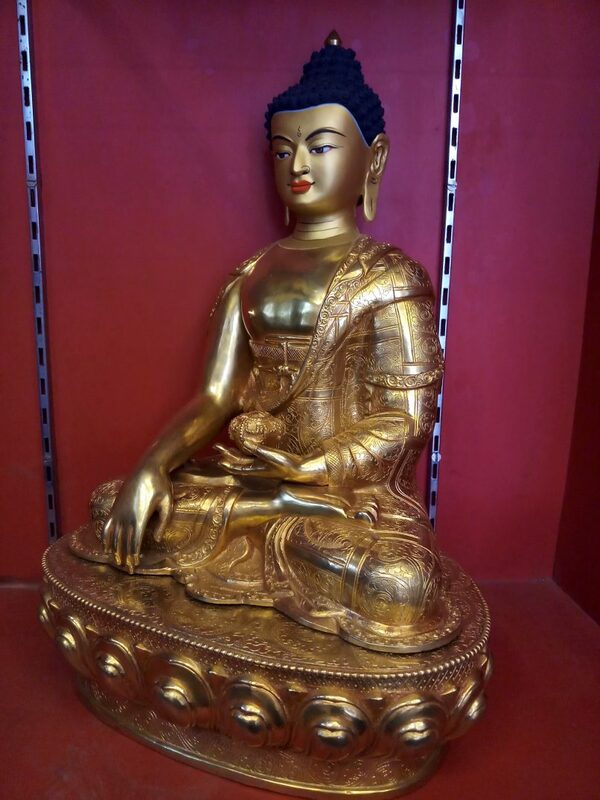 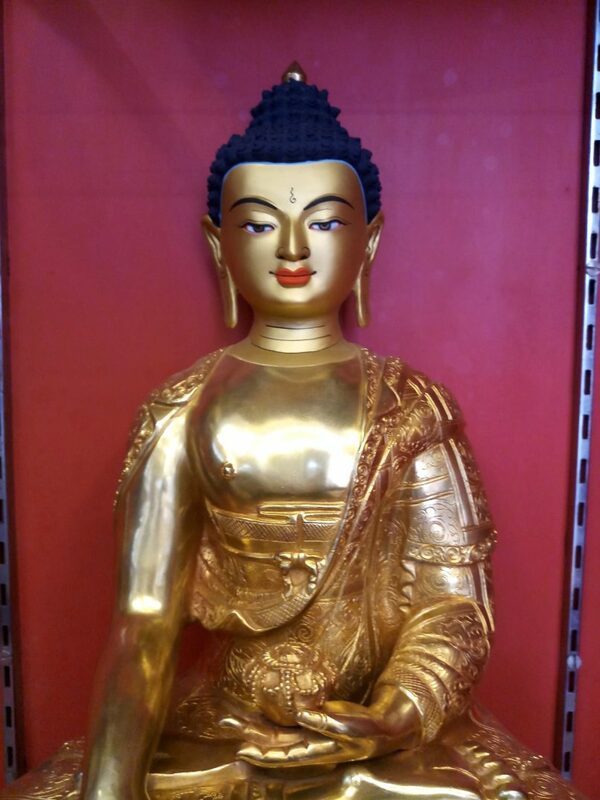 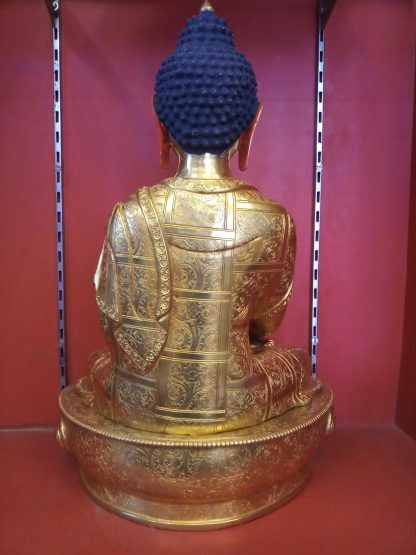 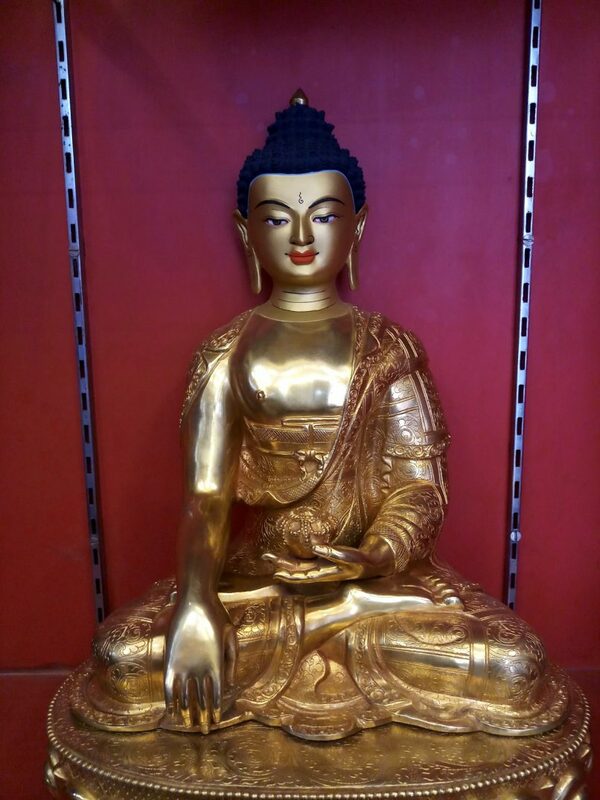 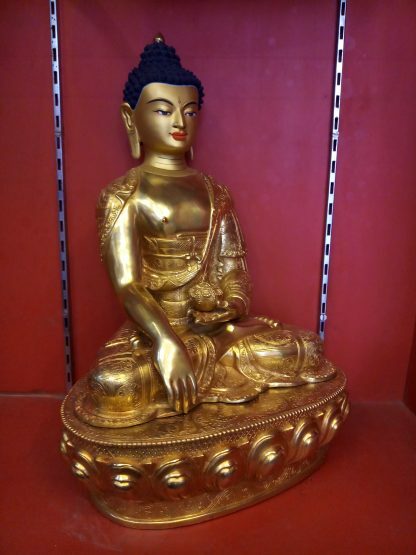 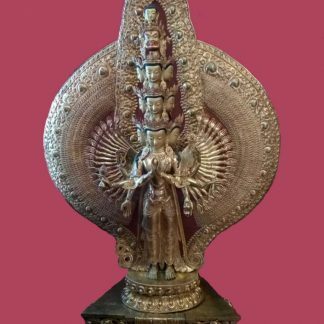 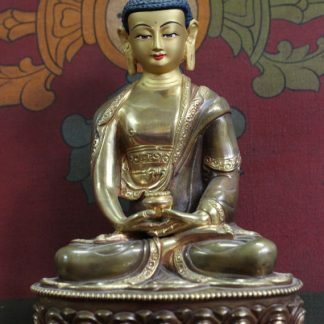 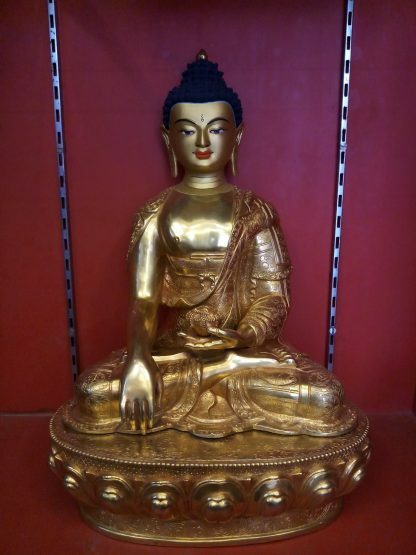 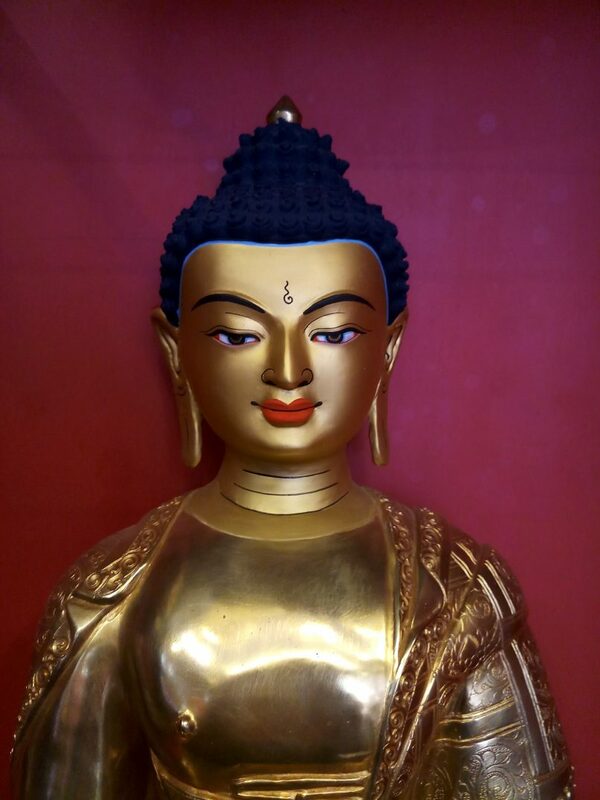 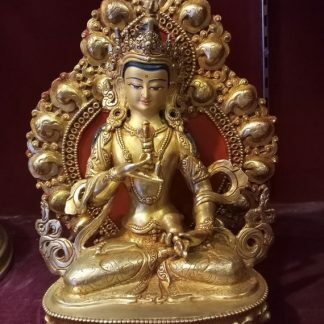 This is Shakyamuni Buddha Full Gold Figurine designed to place in home, garden,monasteries, Temples, dharma centers and even in places like Yoga Centers and Hotels for decoration. The statue is Fully gold plated body. Shakyamuni Buddha full gold figurine is positioned in bhumisparsa mudra with finger touching the earth. 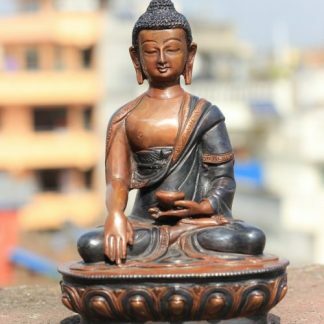 Meaning of Five Dhyani Buddha Mudra Mudra, the Sanskrit word usually denotes a hand gestures and finger postures that are used in Buddhism. 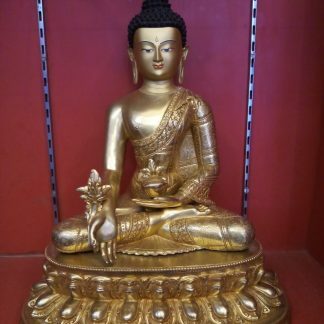 Such Buddha mudra is associated with the images of Buddhas and Bodhisattvas to represent different teachings and philosophy of Buddhism.